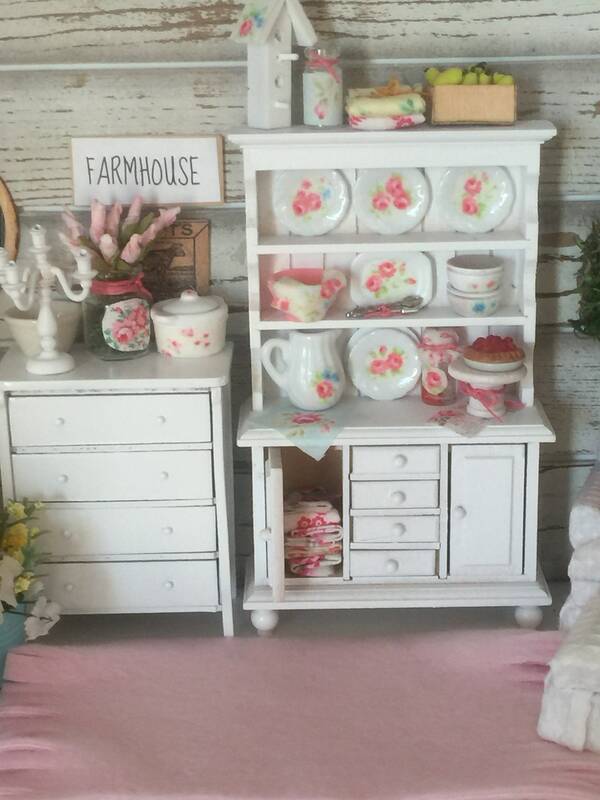 Isn’t this shabby hutch soft and sweet? 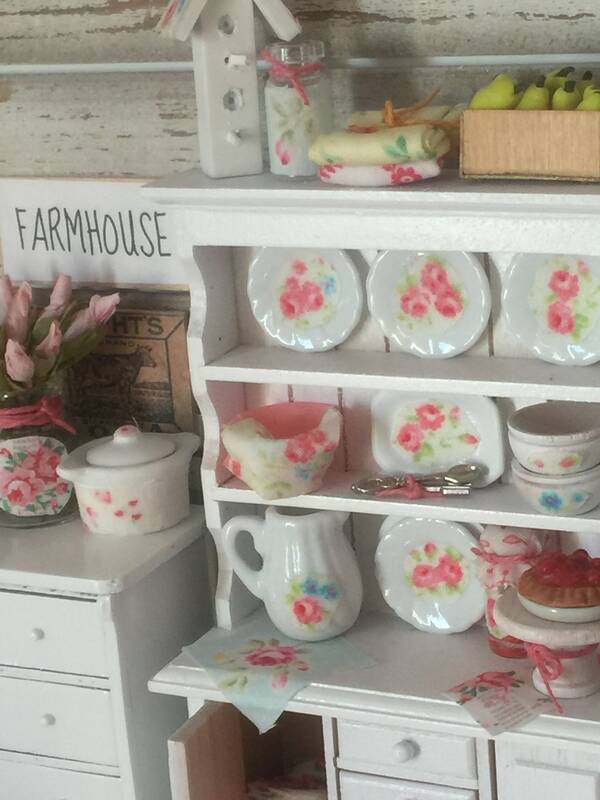 First this China hutch has been painted a soft white. 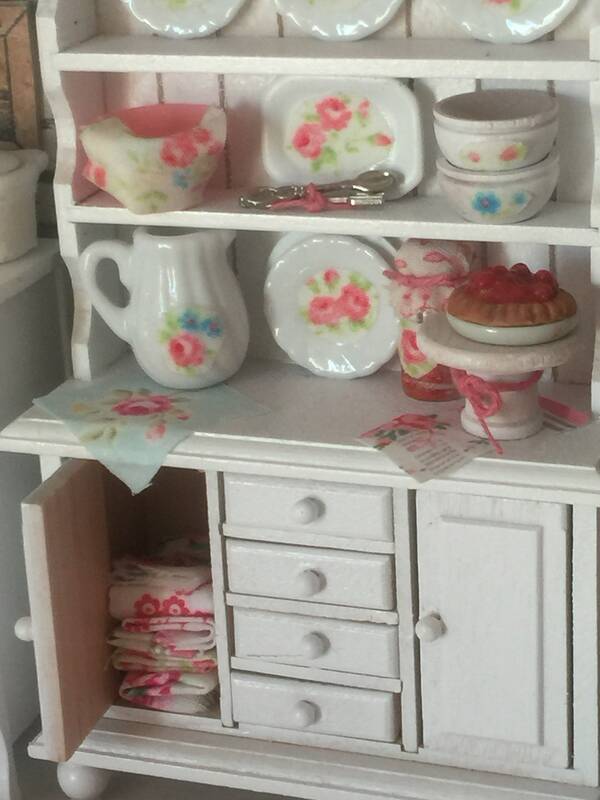 Next the Backs of shelves have been lined with beautiful fabric featuring beautiful little rosebuds. Dishes have been painted white and also embellished with tiny portions of the roses from this little bit of fabric-placed on the center of the dishes. 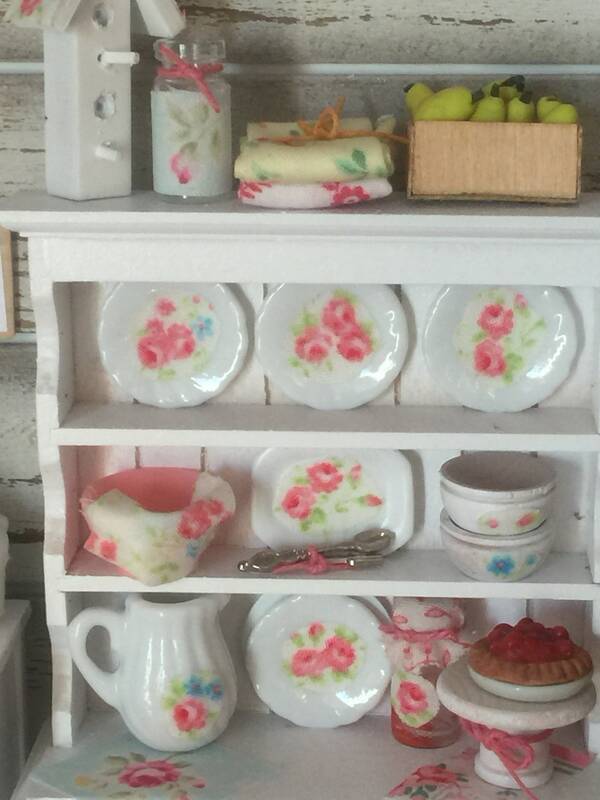 I love the soft shabby feel of the dishes on the shelves and the pretty tiny rosebuds. I may have over used the fabric but it was so pretty I couldn’t stop! The cake plate and pie are stacked but not glued together. Cherry Pie is made using polymer clay and not edible. Each cherry handmade before it became part of the pie. On top is a hand-painted birdhouse. I decoupage the roof with the fabric so that it matches the dishes. One of the sweetest parts of this listing is the vintage box of pears on top add by a sweet relative of mine who made Miniatures years ago. I love mixing new and old together for a lovely look and a vintage touch! Hutch is 6.5” tall and 4” wide. 1” deep. Drawers are empty but I filled one side of the cupboard with folded fabrics to look like Shabby kitchen towels.